Click on the cover to order my book through Amazon. Or read about it by clicking on Dadhood Book. My blog is called "Helping Fathers to be Dads"
Serving families and their children through their Dads. My blog "Helping Fathers to be Dads" is for men who need encouragement and/or advice on being a Dad. My inspiration for the blog is my childhood and two generations since that have lacked good fathering experiences. Almost half of my nieces and nephews and their children struggle with things like poor education, out-of-wedlock births, financial issues, and bad decision making. Almost every one of them either did not have an involved father or the father seriously lacked effective parenting skills. Every child deserves a fair start in life. Without attentive parenting, a child has so much to overcome to catch up - if they ever do! Even children whose mothers who do a wonderful job raising their children alone, deserve a dad's attention and mentoring. Check out the statistics (below)when fathers are not in the home. They are eye-popping! While my blog began in fall of 2012, my research on fatherhood began in 1999 when my the last of my three children graduated from high school. I read, observed, discussed and took notes on men and parenting. As a result, I have written a book on the topic tentatively entitled, The Power of Dadhood: How To Become The Father Your Child Needs. It is about the critical role of fatherhood in families and how it impacts society. I'm hoping to have it published prior to the next Father's Day. This topic is dear to me, and I hope to others. 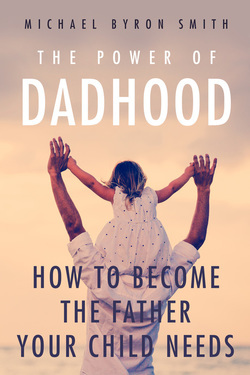 "The Power of Dadhood....How to Become The Father Your Child Needs" discusses the impacts, challenges and possible approaches to a positive fatherhood experience. Its purpose is to praise, encourage, and help men to understand their unique and powerful role regarding their children and society. Here you will find the introduction to the book. Blog: Helping Fathers to be Dads. THIS IS THE MOST IMPORTANT PAGE ON MY WEBSITE. I need your thoughts, opinions, discussion, and help. Write me a note at Mike@michaelbyronsmith.com to suggest a blog topic, give some advice, or for any reason. DISCLAIMER: I am an everyday dad and grandfather. I am not a professional in any area of psychology or sociology. My thoughts are my own unless stated. I welcome and expect differing views on my discussion on fatherhood, but the conversation is indispensable. Please be the father you think is best for your child. Photos: Photography is my favorite hobby. Posted photos are for fun and depict some of my favorite and/or current photos. Grandchildren: Let's face it. It's a brag book!